An exquisite work of the Sreerama group is this exhibit. In this exhibit we can see the figures of Lord Sreerama, Goddess Sita, Lakshmana, and Lord Hanuman. 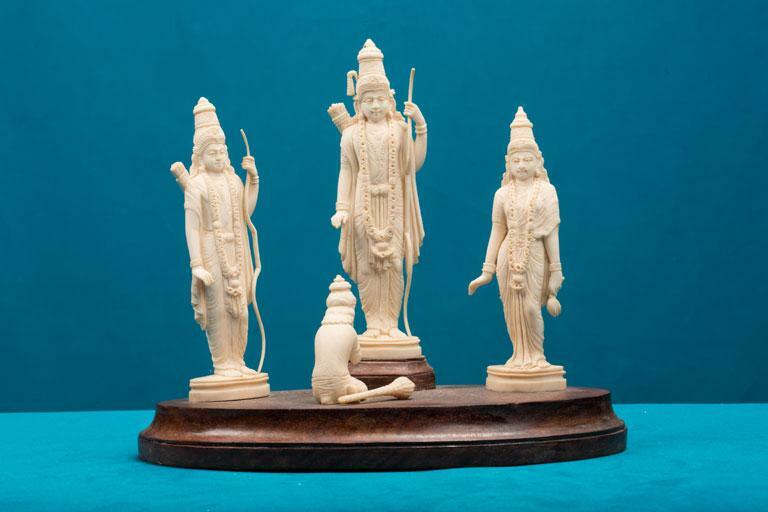 Lord Sreerama, Lakshmana and Goddess Sita are in standing posture. The Goddess is standing to the left of Lord Sreerama and Lakshmana to his right. Lord Hanuman is depicted as kneeling to show his devotion to Lord Rama.